Investments continue to pour into startups tackling healthy eating and meal subscriptions. Last month, Real Food Works, a healthy meal delivery startup, announced it had raised $175 thousand from Benjamin Franklin Technology Partners and $200 thousand from the city of Philadelphia’s $6 million Startup PHL Seed Fund, managed by First Round Capital, among other angel investment. Essentially a tech and logistics company, Real Food Works partners with local restaurants to make deliveries of nutritious, “real food” meals to users, 3 times a day, 5 days a week. Users sign up, decide what to order and pay through the platform’s user interface, and the platform’s back end database manages the supply chain. 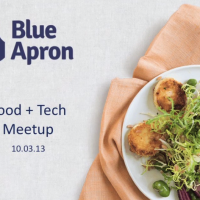 At our October Food+Tech Meetup “The Business of Meal Kit Subscriptions,” the startup’s founder and CEO Lucinda Duncalfe presented her company’s model and goals (video above). I subsequently spoke with Duncalfe to learn more about what makes her company innovative, the challenges her team has faced and their plans for growth. Our interview has been edited slightly for clarity. 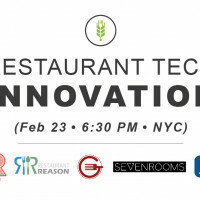 Food+Tech Connect: What’s your background and what was the inspiration for Real Food Works? Lucinda Duncalfe: I’m a cereal entrepreneur and have done a wide array at of ventures, including TurnTide and ClickEquations, which I sold in 2011. The inspiration [for Real Food Works] was my own personal transformation. I watched Forks Over Knives, did a ton of research, and I was shocked at how little I knew about nutrition. I started eating a real food diet. [And while] it was easy to stick to from a motivation standpoint, it was incredibly inconvenient. I met so many people who were eating the same way, and I saw an opportunity there to make it easier to eat more accessibly and healthfully. The real problem was the actual food on the plate. Uber was coming into Philly, and I had that model on the brain. Why couldn’t [I apply a similar model and] get restaurants to cook healthy and delicious food? FTC: What’s your business model? Customers sign up for a subscription, and they can pause or cancel at any time. They receive deliveries Sunday and Wednesday night. They manage their menu in advance. There is zero waste in the system. The menus come from 19 restaurants, and each item is worked through and certified as both nutritious and tasty. On the back end, the system aggregates customer orders and sends them to the restaurants, so that restaurant staff can order provisions for those meals. Every customer gets dishes each week from many restaurants and our courier partner, Wash Cycle Laundry, delivers the orders by bicycle. The price ranges from $89 a week to $299 for weight loss (at the high end). [In terms of the restaurants], they go through approvals. They receive orders, cook them, label, package and send them out [via courier]. We deliver in the evening – our customers receive meals between 6 and 9pm. Packaging and storing is a huge problem [for restaurants in general]. We judge the capacity of the restaurants, [and suggest a] greater number of fewer dishes. We have both core providers and specialized restaurants. We have everything from single proprietor little guys to bigger places. Users can choose “healthy living” or “weight loss.”[In weight loss, they receive] snacks and healthy coaching every week, and on-going education online. [Coaches] respond and help them. When we decided to launch weight loss, I went back to the research, and asked, what does science know and not know? What works for people? [I noticed] ridiculously low success rates. The other food prep companies, help people loose weight, but there is no education about how to eat better. When you stop you don’t know what to do. Coaching and logging were huge elements [for us]. The foundation of the program is a tie between food and health. We just launched weight loss [two months] ago, and have had great results from a business standpoint. FTC: What was your fundraising strategy and why was it was successful? How long did it take you to fundraise? LD: Fundraising took 4 months from beginning to end. Our strategy was to start with angels and to prove the elements of the model as quickly as possible. When we started, we had no idea if the base model would work, [and were uncertain about the ] economics, restaurant partnerships and getting food from here to there. I just tweeted initially, and we got the first set of customers. And to our great pleasure that worked. [The second question was], could we scale? A local newspaper article helped with that. [Our third area of focus was] retention. We have outrageous retention, so that was great. [Our fourth focus will be] multiple geographies, [and we plan to expand] next year. Our internal team is extremely confident. We also need a way to know we can scale customer acquisition. [We had an] objective of getting seed stage venture money, and had a lot of luck getting meetings and then “the come back when” line. But these were legitimate “come back whens,” not “I’m just being nice to you.” The Startup PHL fund came into existence, and it [the venture money] gave its team the comfort to come in earlier then they normally would have. I was going to finish out the round with angels only, but it made sense to add them into the round as well. FTC: How do you plan to scale? LD: We will scale like Uber. We will drop a team in [a new location]. All the centralized software is designed to scale, we just have to go get restaurants. 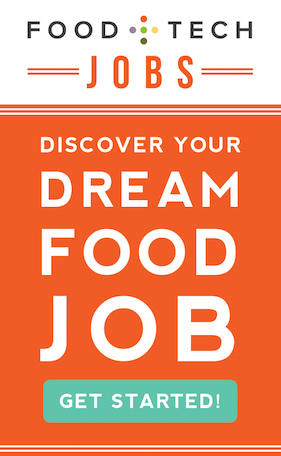 We’ll drop in, hire a couple of people and one chef in each city. We will announce a new city early next year. The candidates are San Francisco, Los Angeles, Washington DC and Boston. [In terms of New York City], it’s really different logistically. It’s also has a very different [extremely active] takeout and delivery culture. It’s a one-off, but we will get there and we can’t wait. FTC: How many restaurant partners do you currently work with and what does the process look like for getting them on board? LD: We grow it in a step function. We went from 12 to 19 in the past month. We go through certification screening, [make sure they have the proper] insurance and are licensed, and we run an educational session with them. They then create a sample item, based on their own flavor profile. Typically the first dish we don’t like. It will either be good nutritionally but doesn’t taste good, or vice versa. Every single dish goes through same process. [Restaurants] are constantly coming up with new dishes. But it is very time consuming and expensive for them, so in the holiday season we won’t see anything new, but right now we’re getting a lot [of new dishes]. 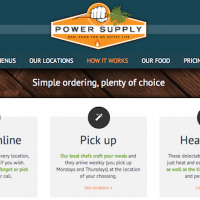 FTC: How do you differentiate yourself from others in the meal subscription space? LD: We differentiate ourselves by offering 100 percent real food that is restaurant grade. FTC: What are some of the challenges you’ve faced with Real Food Works? LD: Funding was definitely tough. But 4 months is not bad, and we got great people to invest. Learning restaurants was challenging. Many restauranteurs are not great business people. It’s just a very different culture, so that was challenging. Also, you’re dealing with a perishable, artisinal product. Everything about food is challenging.